Watch Kerala Budget 2013-14 live on various channels including Asianet News, Manorama News, Reproter TV, People TV, India Vision and Mathrubhumi News on 15th March. With the budget session starting on 15th March, Finance Minister K M Mani would present the state budget for the year 2013-14. Being the 11th budget presented by K M Mani, expectations are on the peak to know what the minister has stored for the development of the state. The Kerala budget 2013-14 would be presented by state finance minister on 15th March at the Kerala assembly. The budget session would begin on Friday and will have a closing, dated 10th April. 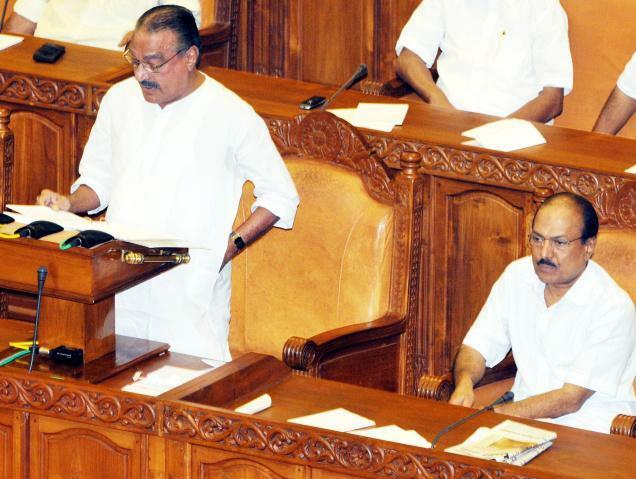 Finance Minister K M Mani is gearing up to present his 11th budget during the eighth session of the 13th Kerala legislative assembly which is extended up to 16 days. After the budget gets presented, a general debate on the budget proposals will be held on March 18, 19 and 20 followed by the voting procedure slated for March 21. With intervals in between the sittings, members would meet on March 22, 25, 26 and from April 1 to 5 and from April 8 to 10. For the smooth running of the budget session, a meeting of representatives of all political parties will be held on is being on 14th March. As the last session of the Assembly frequently got interrupted due to protests made by the opposition, the meeting will have much importance. As debate on the Budget and Bills are given importance, all procedures are on full swing to keep the day free from protests. On 25th March, the discussion of Private Members Bills would be enacted while the Appropriation Bill will see limelight on 26th March 2013. Expecting better plans for the better future, there will be new projects to revive KSRTC with the Kerala Finance Department taking much pain to tackle the challenging issue. Added to this, there will not be any proposal to increase the retirement age of the government employees. The Kerala Budget 2013-14 to be presented on 15th March would be live telecast on various malayalam channels including Doordarshan, Asianet News, Manorama News, Reproter TV, People TV, India Vision and Mathrubhumi News.